the time it takes to lock focus onto your subject, and smoothly maintaining focus where you want it. minimum picture noise. Whether you're capturing a fast-moving athlete or a feisty puppy, the DIGIC 7 Image Processor in the EOS M5 camera can stay locked on throughout the action. Improved face tracking helps keep your friend or family member the subject of the photo. Even in extreme cases, like in low saturation or low-light dusk, dawn or darkened interior moments, the DIGIC 7 Image Processor helps keep what you're photographing in focus. It also features the new Dual Sensing IS, which uses data from the image itself to help minimize the blur caused by camera shake and body movement. This results in clear, sharp pictures even at slow shutter speeds. All this is in addition to upgraded detail and noise reduction abilities, especially in low light with high ISO settings. Powerful all around, the DIGIC 7 Image Processor helps ensure your photos and videos look sharp and lifelike with minimal unwanted noise or grain. Whether you're creating artistic film clips or capturing special occasions, the advanced video capabilities of the EOS M5 camera can catch them in the quality they deserve. Incredibly realistic 1080p Full HD video is recorded at 60 fps with stereo sound in convenient MP4 format. Video is smooth and richly detailed even when played back on a large-screen HDTV via the camera's HDMI output. The MP4 format's small file size lets you fit more on a single memory card, and makes downloading and sharing quick and easy. 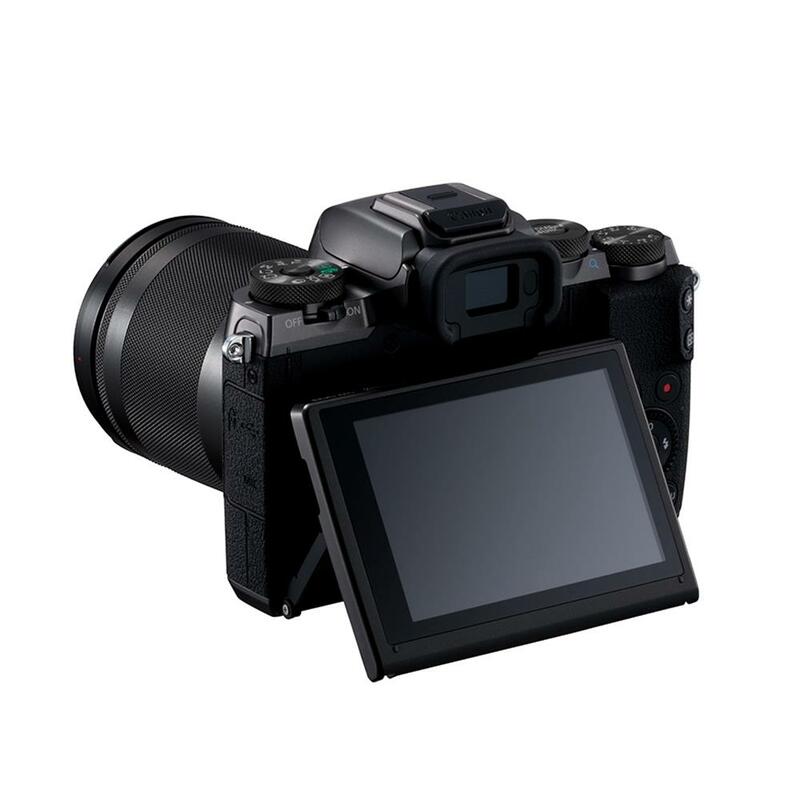 Manual movie mode is also available: adjust settings and even select focus points by using the touch panel LCD screen. You can do this even while looking through the viewfinder to express your vision your way however you shoot - all from a powerful camera that is easily portable. Sometimes you need to move the camera to create the video you want, whether you're panning over a gorgeous scenic vista or chasing after an excited puppy. Even when you hold the camera as steady as you can, some unintentional shaking is possible. To counter this, the EOS M5 camera features 5-axis Digital Image Stabilization* when recording video. Blur due to movement in the horizontal and vertical, yaw and pitch (tilting) and roll directions are all digitally minimized in-camera. 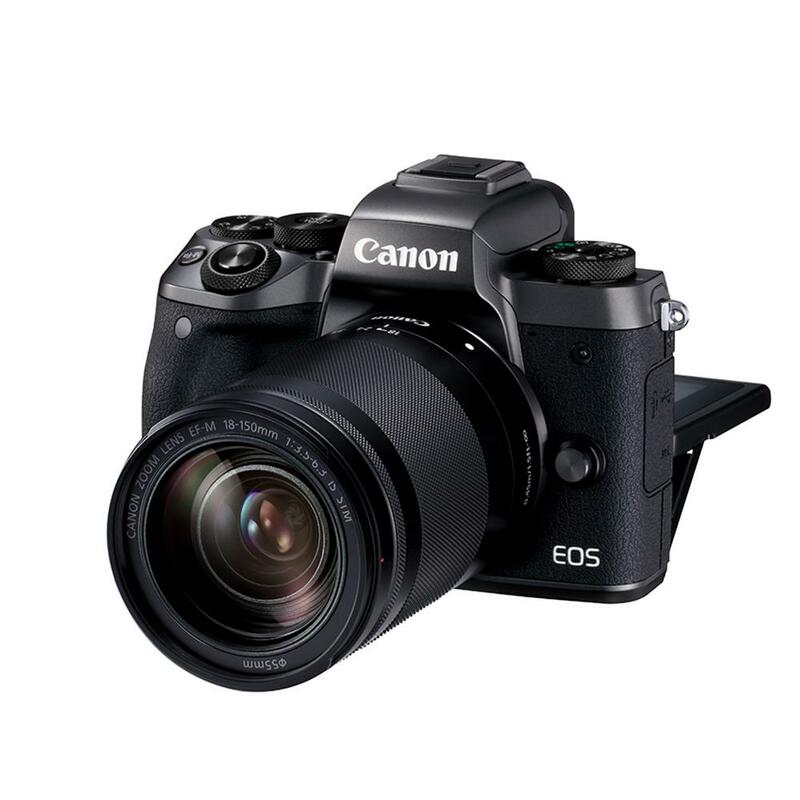 For more stabilization, when a combination IS-compatible lens is attached, the EOS M5 can use the lens's Optical IS in conjunction with Digital IS for even less chance of blur due to shaking. These help ensure the videos you record are as sharp as possible. In certain situations, like a bright sunny day, a viewfinder is preferable to a screen. 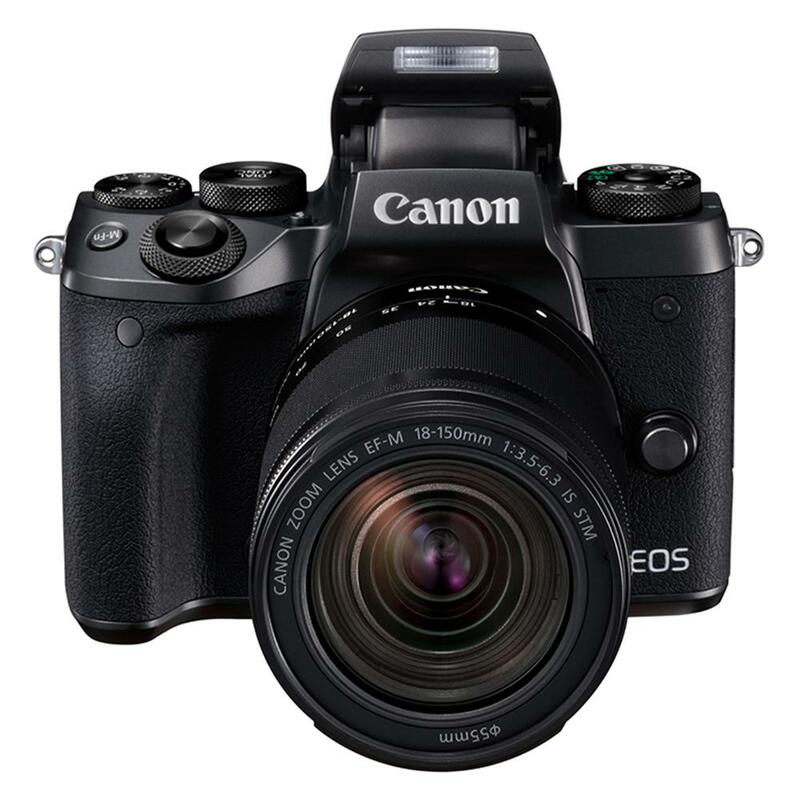 The built-in high-resolution electronic viewfinder on the EOS M5 camera features approximately 2,360,000 dots so you can see high amounts of detail in what you're capturing. Its Organic Light Emitting Diode (OLED) technology offers high-contrast, high-color images that can help properly display the scene you want to capture. Touch and Drag AF lets you use the rear screen as a touchpad while you're using the viewfinder, so you can choose what you want the camera to focus on with just a tap of your finger and without moving the camera away from your face. 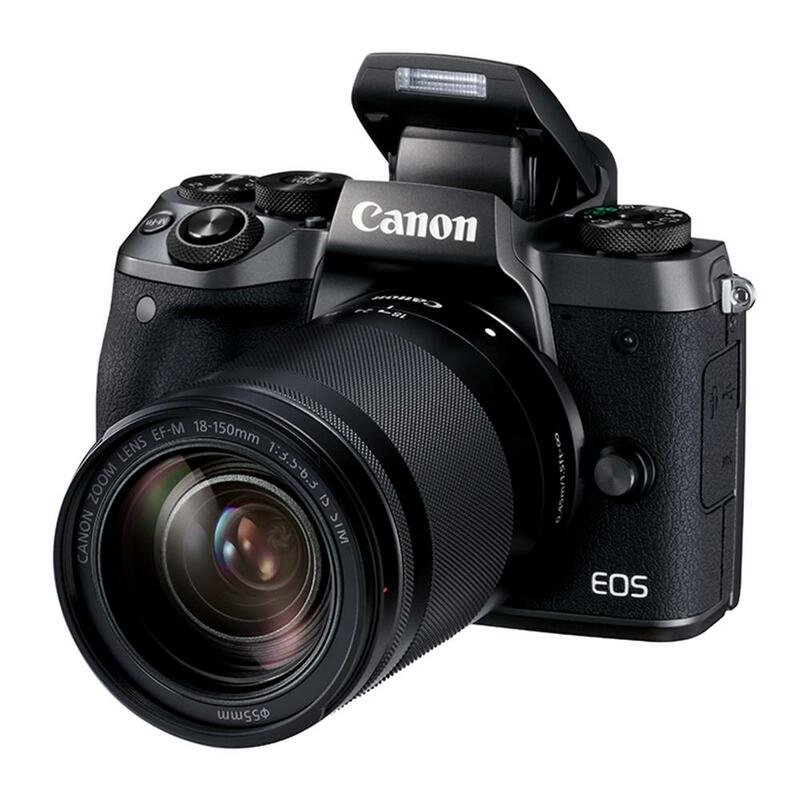 The EOS M5 camera has a large, high-resolution, 3.2" LCD monitor that tilts up 85 degrees and down 180 degrees, ideal for composing pictures at high and low angles with ease. Its touch screen is designed to be fast and easy to use for many operations, allowing accessible AF selection right on the panel. Built-in Wi-Fi** and NFC*** allows for easy sharing and transferring of images and videos. The EOS M5 camera is designed to make Wi-Fi connections* fast and easy. 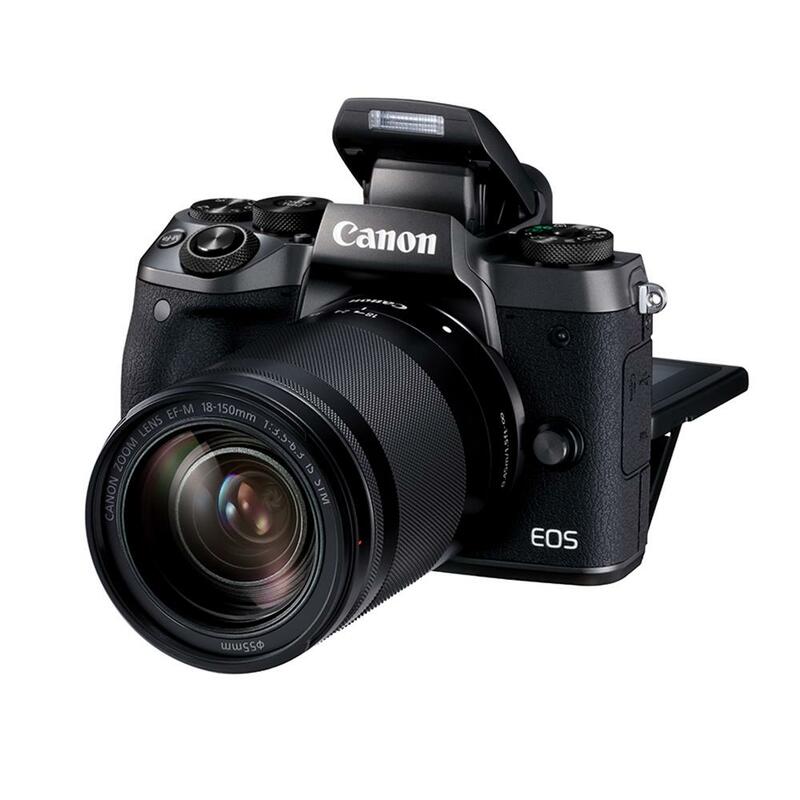 It can exchange data with other Wi-Fi compatible Canon cameras, connect directly to Canon's Connect Station CS100 device, upload directly to various web services like CANON iMAGE GATEWAY***, Facebook® and YouTube®, and even play back images and movies on DLNA-compatible digital electronics. Equipped with Bluetooth**** Smart for smooth pairing with a compatible smartphone by powering on both devices for easy photo sharing and remote control possibilities. 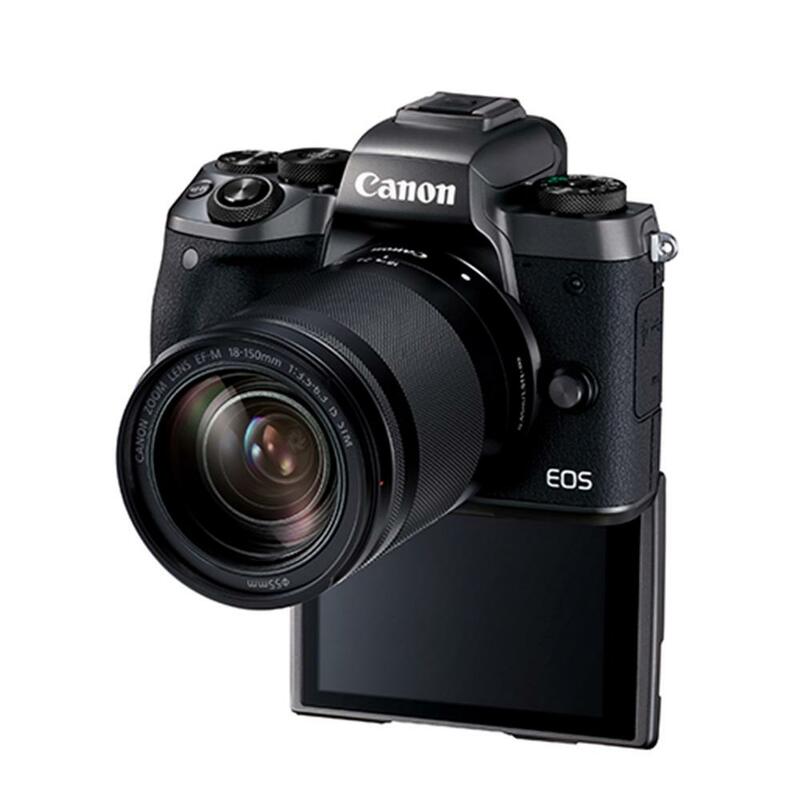 Thanks to Bluetooth**** Smart pairing, you can easily connect to and remotely control the EOS M5 camera from compatible smartphones. Once you've set up the initial pairing, you're able to set the camera to automatically connect when turned on. With this connection you're able to control camera operations like capturing an image, without needing to touch the camera. For that next level of connectivity, a direct Wi-Fi connection can be established, letting you use your phone as a viewfinder, and check and download previously captured photos and videos. of approx. 1.0 second, the EOS M5 camera goes from off to able to take a picture almost immediately. Thanks to its fast processing, there's also limited time between image captures. This means the EOS M5 is ready to take that first photo, and the next and the next, when you need it. 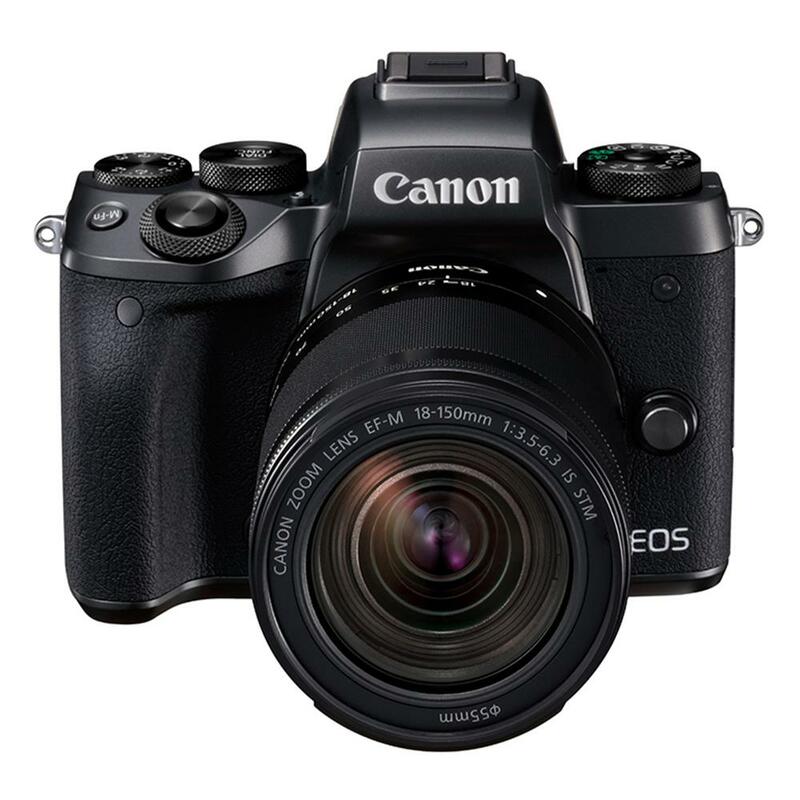 To expand creative opportunities, the EOS M5 camera is compatible with both EF-M lenses designed specifically for the EOS M series of digital cameras, as well as the full line of Canon's EF and EF-S lenses, plus other EOS accessories like Speedlites, Speedlite Transmitters and even Macro Ring Lites. Whether the EOS M5 is a primary or secondary camera, it boasts smooth compatibility with a wide range of EOS accessories. 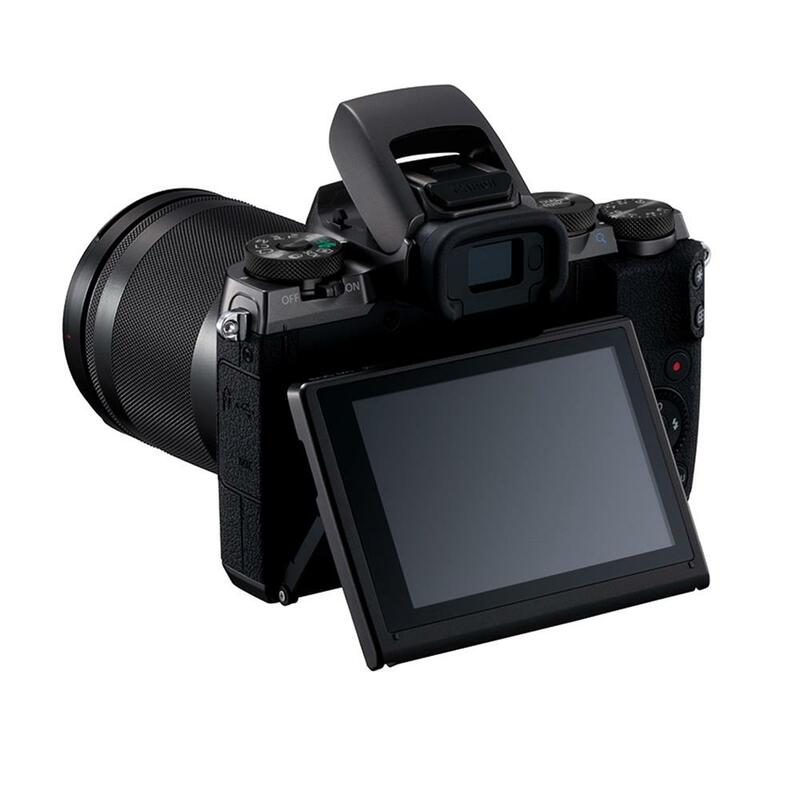 Mount Adapter EF-EOS M is required when using EF/EF-S lenses for EOS M series digital cameras. Canon's first EF-M high zoom power lens covering a broad range of shooting scenes with a high zoom ratio of up to 8.3x (29-240mm equivalent). From scenic landscapes to close-up intimate portraits, the EF-M 18-150mm f/3.5-6.3 IS STM's wide zoom ratio of up to 8.3x can help you capture both of these scenes without changing lenses. The 29mm-equivalent wide angle can help capture the entire mountain range, while the 240mm-equivalent telephoto lets you highlight just one peak. 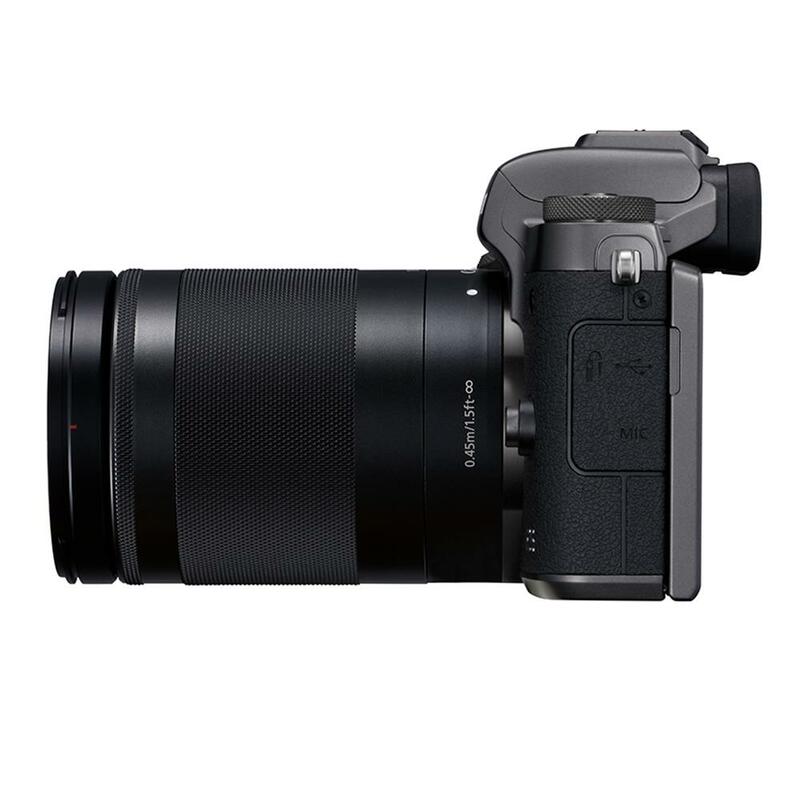 To bolster its extensive zoom range, the EF-M 18-150mm f/3.5-6.3 IS STM is compact and lightweight, measuring only 3.4 in. long and 2.4 in. in diameter, and weighing approximately 10.6 oz. It's designed for easy portability, making it an ideal walk-around lens for everyday scenes, vacations and more. Optical design helps provide excellent image quality across a broad zoom range comparable to the EF-S 18-135mm f/3.5-5.6 IS USM lens. Featuring 17 lens elements in 13 groups, the EF-M 18-150mm f/3.5-6.3 IS STM's advanced optical design helps ensure high image quality throughout its zoom range, comparable to the EF-S 18-135mm f/3.5-5.6 IS USM lens. Optimal element placement, including one UD (Ultra Low Dispersion) lens element and two aspherical lens elements, helps minimize chromatic aberrations and fringing to help keep contrast and color accuracy high. To help you capture virtually every detail, the EF-M 18-150mm f/3.5-6.3 IS STM provides a maximum magnification of 0.31x at focal length 150mm. Zoom in and see the texture of a flower's petals, the eyelashes on a friend's face or the whiskers on a cat's nose. The closest focusing distance is 0.82 ft. at 18-50mm or 1.48 ft. at 150mm, meaning you can get right up close to your subject with ease. 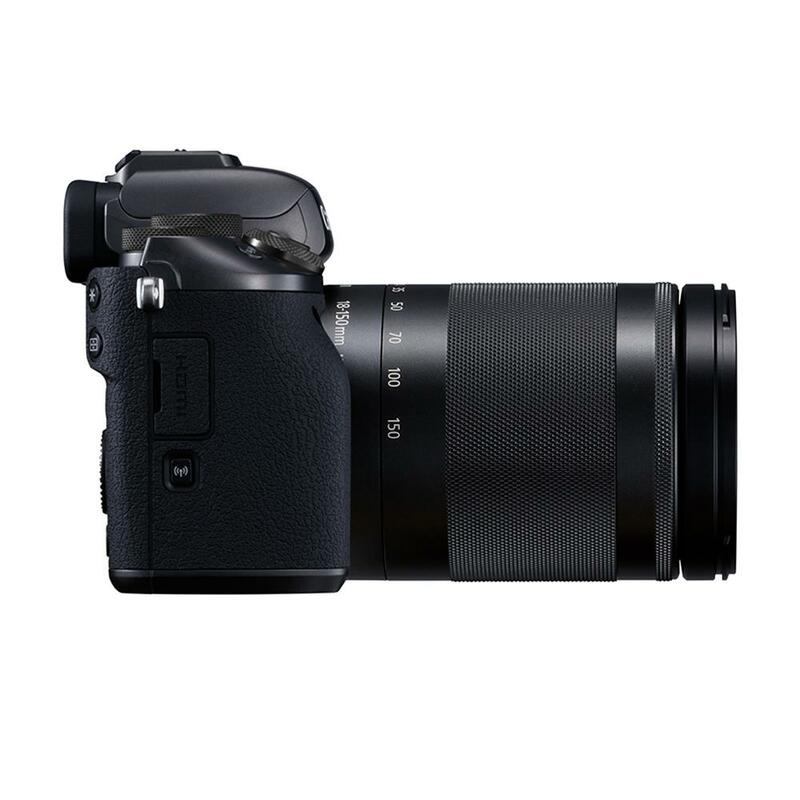 For consistently sharp results, the EF-M 18-150mm f/3.5-6.3 IS STM features an improved Image Stabilizer system that provides significantly enhanced shake reduction for up to 4 stops* of shutter speeds. 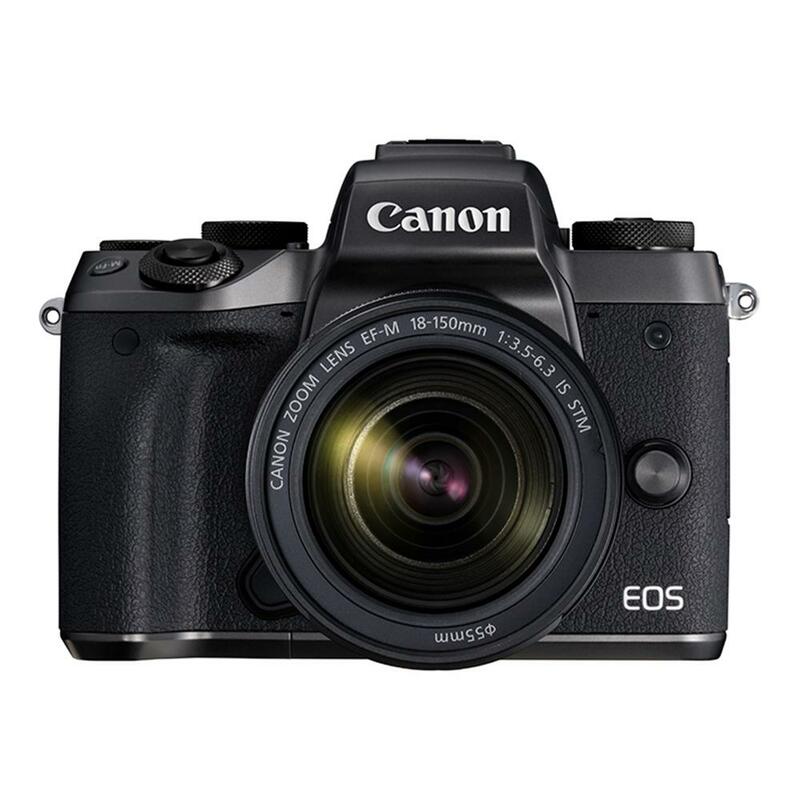 This means more reliable handheld performance and clearer detail in low-light situations or at lower ISOs. Because of its enhanced stabilization, the EF-M 18-150mm f/3.5-6.3 IS STM can also help minimize the need for a tripod. 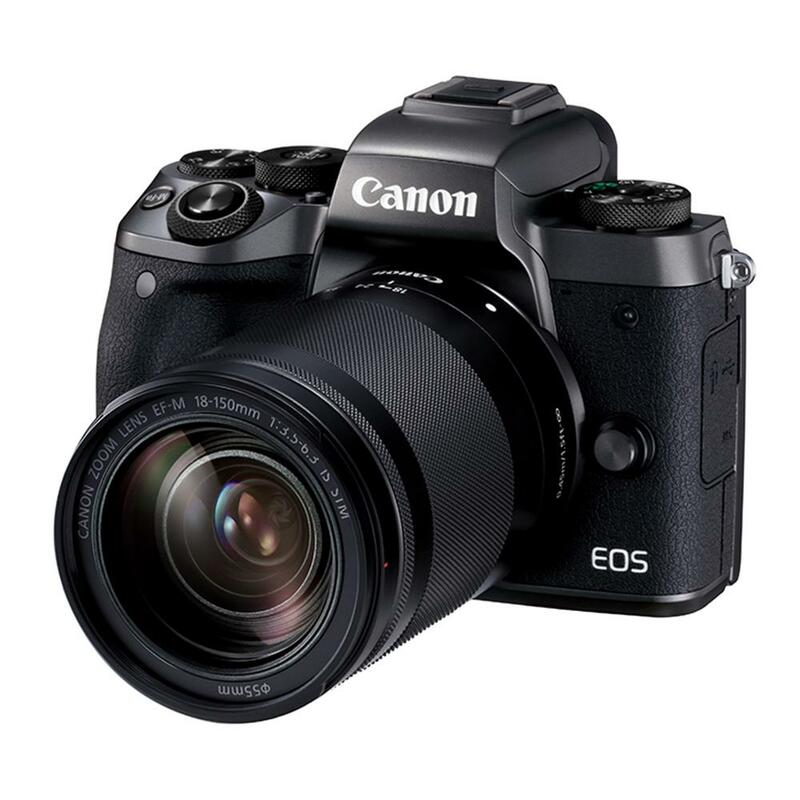 To help significantly reduce blur in videos due to camera shake, the EF-M 18-150mm f/3.5-6.3 IS STM features Combination IS when used with the EOS M5 digital camera. 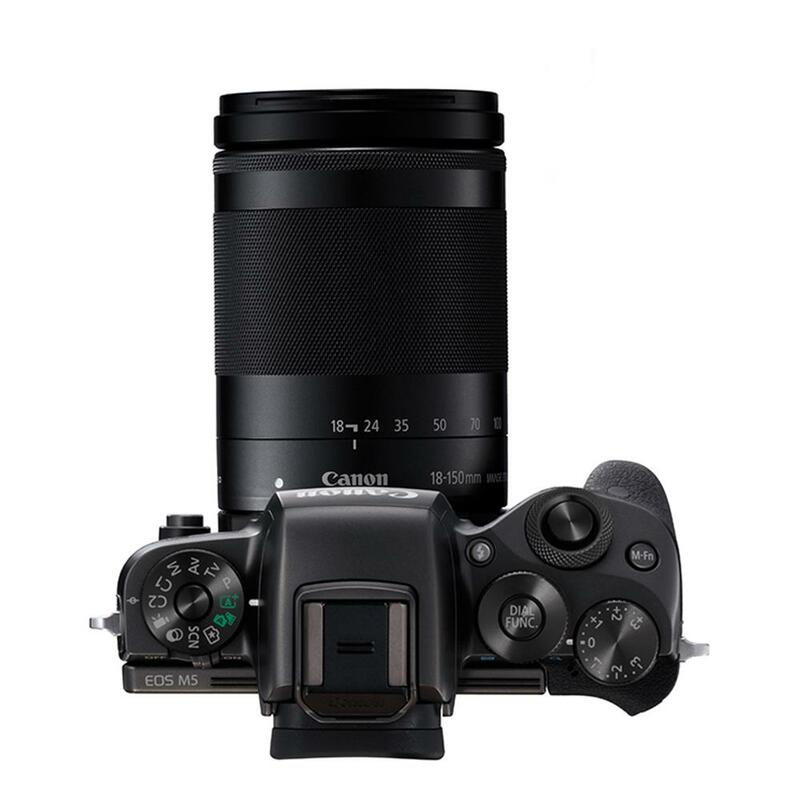 This hybrid system augments the EF-M 18-150mm f/3.5-6.3 IS STM's mechanical image stabilization with the 5-axis Digital Image Stabilization in the camera itself. This means that if you need to move the camera when recording video, your results can remain sharp and clear. When used in conjunction with the EOS M5 digital camera, the EF-M 18-150mm f/3.5-6.3 IS STM helps you achieve a smooth panning effect. The camera detects the subject of the photo, then the lens and camera work together to keep accurate focus. The image stabilization system assists by helping to minimize blur due to the camera's movement. Combined, they deliver photos and videos of subjects caught sharply in motion, with the background artistically blurred.